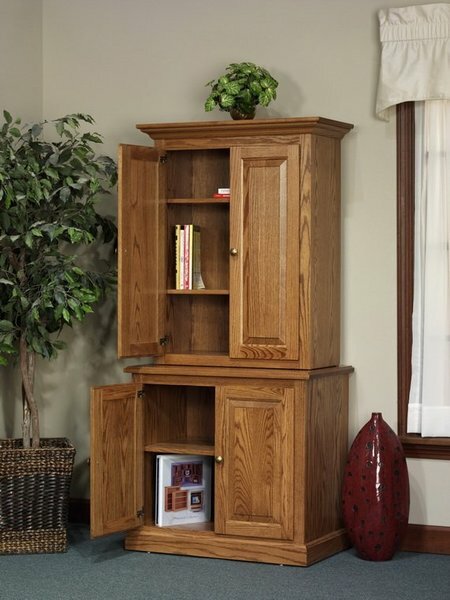 Maximize your office storage with the Highland Full Door Bookcase. Handcrafted with pride, this stunning piece of solid wood office furniture is definitely a product that you will be proud to have as part of your office furniture collection. The top doors run from the crown molding all the way down to the bottom cabinet doors for maximum storage throughout this entire piece. Available without Hutch Top. - Please call for price.